"Buffed aims to provide business opportunities to individuals seeking asylum, refugees and people whose employment outlook is limited." Oscar Hunt is once again pleased to announce our ongoing partnership with Buffed. 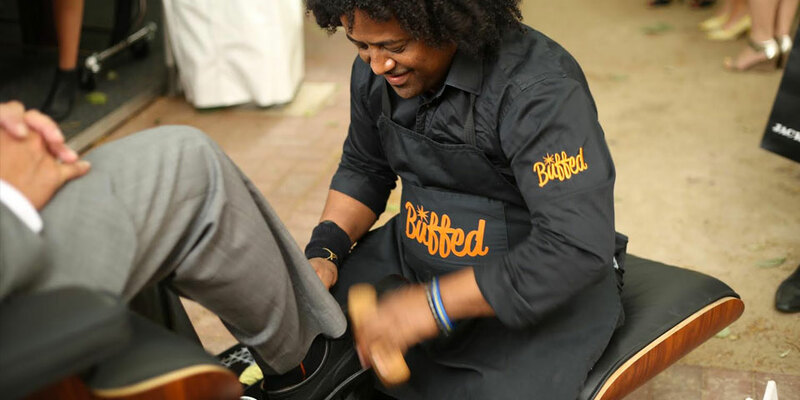 Buffed is a network of shoe shine stands based in major cities across Australia. Founded by the Wise Foundation in 2011, Buffed aims to provide business opportunities to individuals seeking asylum, refugees and people whose employment outlook is limited. Their mission is to create a social enterprise business that generates a positive social impact within communities and valued outcomes across Australia. The vision is to secure futures for individuals through small business ownership. Buffed is a social enterprise that provides high-level support to individuals to gain back their futures through business ownership. Individuals are able to ‘purchase’ a Buffed shoe shine stand and operate them as their own micro-business. Buffed artisans receive comprehensive training in the fine art of shoe shining, customer service skills and business training development. Buffed provides high-level support that includes: business mentorship and dynamic marketing to ensure artisans have the best chance of creating a successful business. While growing their own business, artisans develop skills, experience and confidence that will greatly assist them toward future goals or aspirations. Oscar Hunt will be supporting Buffed by offering a unique drop-off shoe shine service to our clients. You can simply drop your shoes off at reception and have them immaculately cleaned and ready for pick-up on the same day. 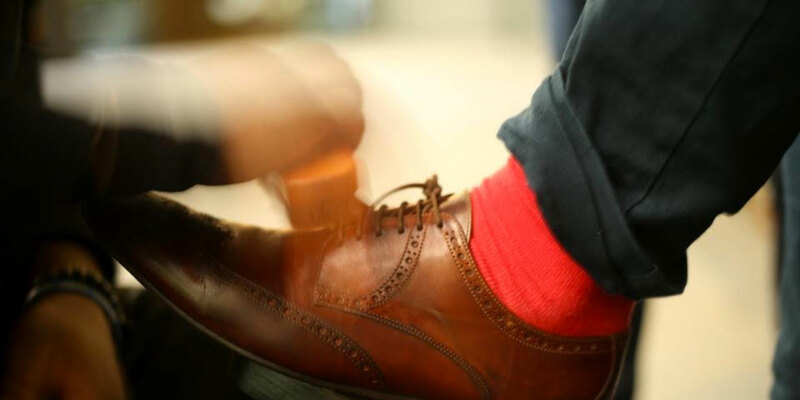 This incredible service is only $10 and will ensure that not only you look strikingly sharp (and add longevity to your shoes) but that your money is going to a fantastic cause.